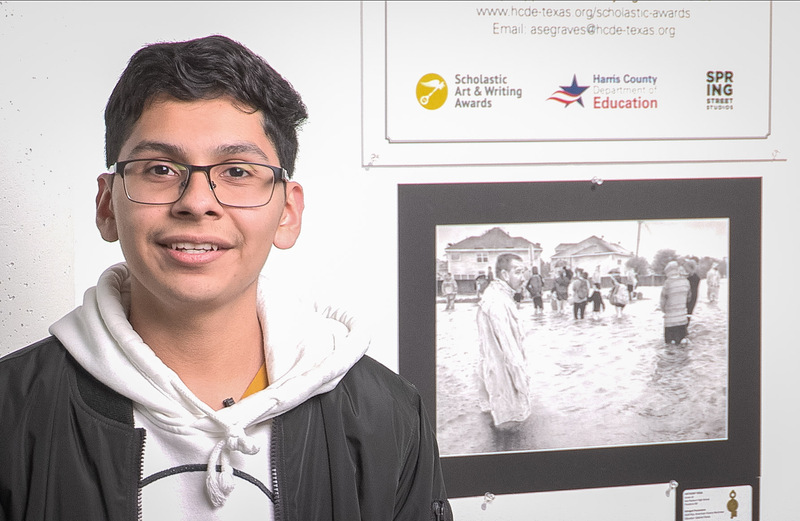 It is an incredible honor to be named an American Visions nominee, especially with over 5,000 Harris County Department of Education Scholastic Art entries this year. However, Sam Rayburn High School in Pasadena Independent School District is honored to have two students who were nominated for this prestigious art award. Senior Axel Maldonado and junior Anthony Vega are two of the five American Visions nominations from our region. Five works of art from each region are selected by HCDE’s regional judges as American Voices & Visions nominees. Each receives a cash award of $250 from HCDE. From the pool of five, a panel of jurors in New York City selects one artist from each region to receive an American Visions Medal. These Medalists from throughout the nation are celebrated during national events and exhibits in New York City in June. SRHS has had students nominated for the American Visions award in the past, but never two at the same time. In his first year of entering the Scholastic Art & Writing Awards, Maldonado also received a Gold Key for his painting, Push Through. His inspiration for the painting came from a picture of a friend’s brother touching a brick wall and taking a moment to think. “You can see how he is trying to overcome certain obstacles in life, and I like the colors in the painting to bring it to life,” he said. 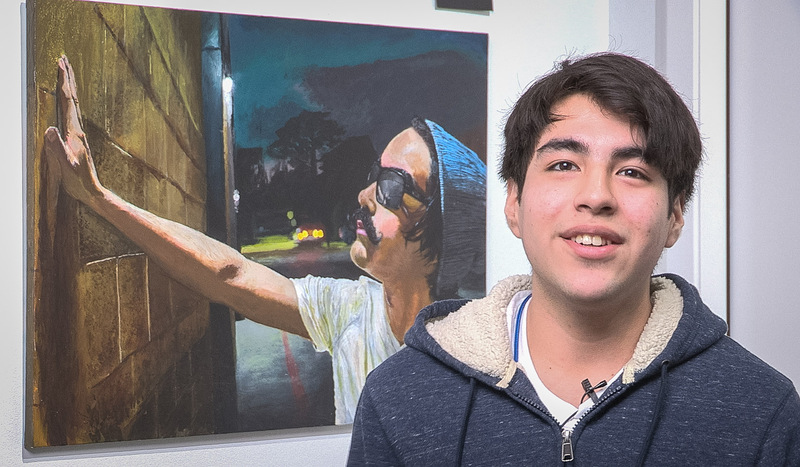 From days of taking paper and placing it on the TV screen to trace objects that were being shown, Maldonado plans to pursue his love of art by attending an art school in the fall. He hopes to become a graphic designer/painter in the future and wants people to recognize him as an artist. Vega’s drawing and illustration, Salvaged Possessions, also received a Gold Key award. His drawing is of people walking through a flooded neighborhood after Hurricane Harvey hit the Houston-area in 2017. Art gives Vega the chance to express his feelings and emotions into a piece for someone else to see. He plans to continue creating art and make people feel great when they see his pieces. The five nominees will find out the identity of the American Visions Medalist at the Scholastic Art & Writing Regional Gold and Silver Key Ceremony on March 26 and 27 at The Ballroom at Bayou Place. Gold and Silver Key art pieces from high school students are on display until March 17 at Spring Street Studios, 1824 Spring St., Houston, TX 77007.